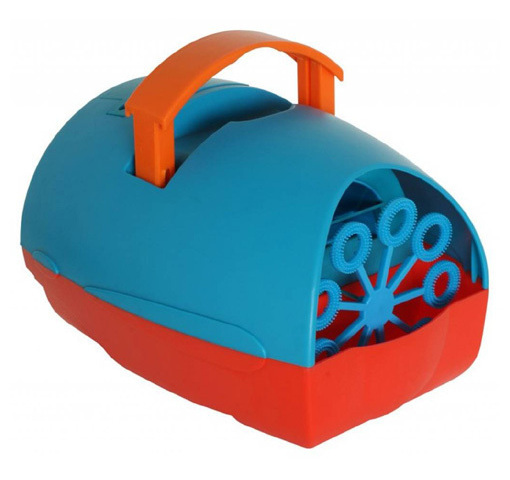 A colourful bubble machine suitable for children. The colourful lightweight plastic housing includes a retractable handle. Can be operated with batteries or with the supplied mains adapator.